Home › Building Types › Hospitals/Medical › Hill-Burton Before and After: Franklin County Health Dept. 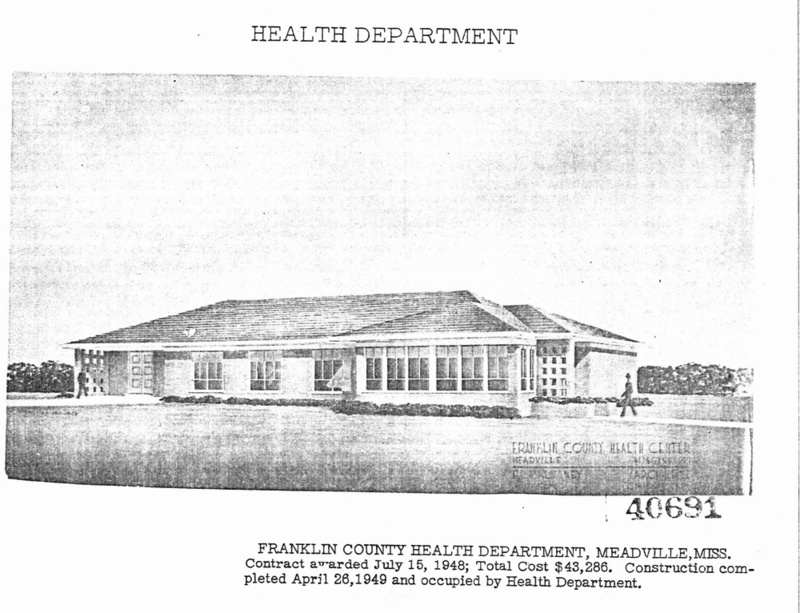 Unlike some of our previous Hill-Burton medical buildings, Franklin County’s 1949 health department in Meadville is easy to find right on the courthouse square, and other than the . . . very red metal roof, it’s very intact to its original design by the original E.L. Malvaney, including steel-frame windows and masonry screen walls at the entrances. One thing I noticed in the rendering that caught my eye when I first looked at the Google streetview was the two entrances on each side of the building. 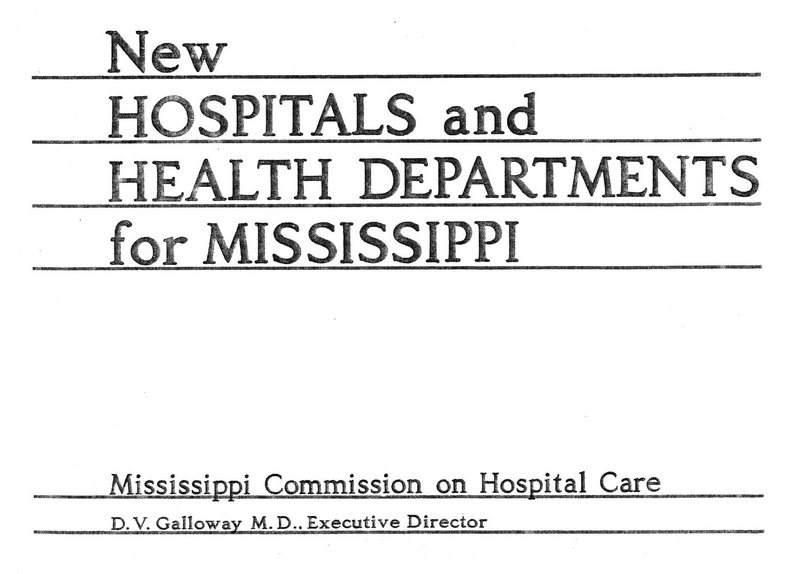 As we saw in our last Hill-Burton post, Malvaney himself noted in an Architectural Record article about the Tallahatchie health clinic that his two entrances there were “so that lecture groups need not get tangled up in maternity or V.D. visitors.” Without a floorplan, it’s hard to tell if that’s the case here, or if there was a racial or other reason for the two entrances. Today, the Franklin County School District occupies the building. More clinics, more MidMod . . .
I’ve been reading your work long enough that when I saw “two entrances” the automatic thought entered my head. Wonder how many “lecture groups” needed to go to the health clinic?